Update available Yes Do we want it? Are there any high risks? Sure, why not? (auto update) No Let’s update! 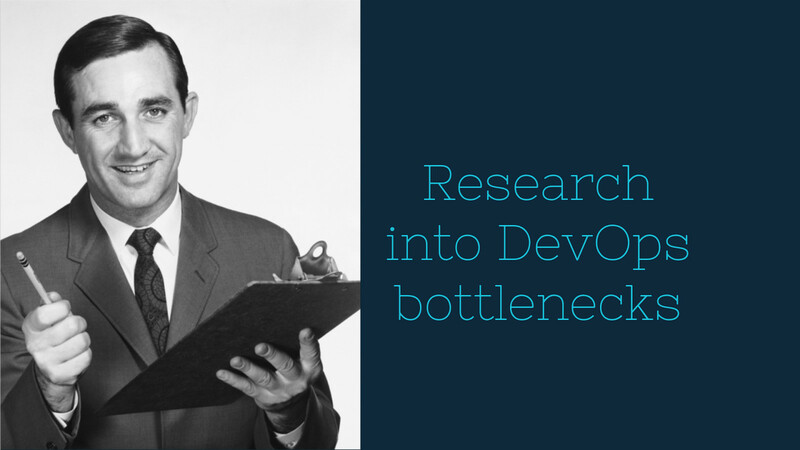 View A Research Study into DevOps Bottlenecks on Notist. We asked a Fortune 500 software delivery leaders what holds them back. This talk is their analysis of the bottlenecks they encountered in their DevOps journey. We share discoveries on what helped them to overcome the bottlenecks and how they plan to deliver even faster. Using this information, we define some unifying themes on what areas provide the greatest return on investments of time and resources.